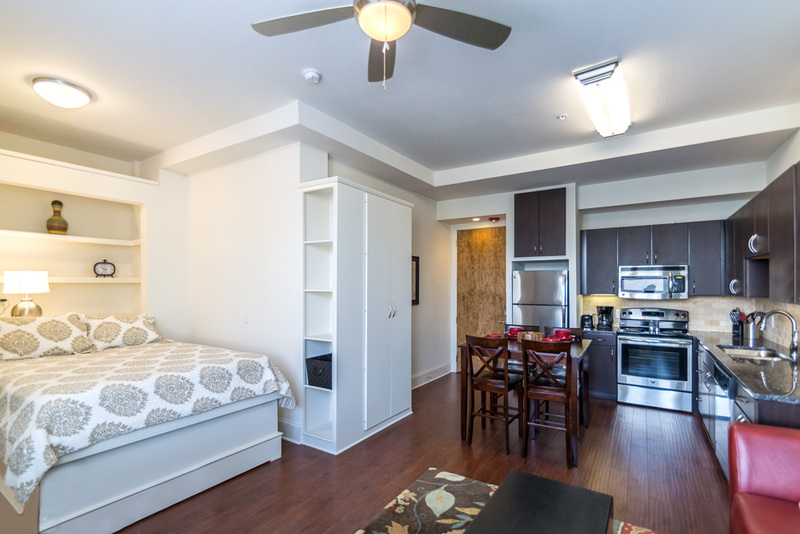 Inclusive studio apartments in the heart of downtown Vicksburg, MS offer everything you need in as efficient a space as possible. Full Kitchen with all the utensils and cookware you would need, towels and linens provided. The Bathroom is the only separate space offering a standing shower with custom tile, and granite counters. Washer and dryer provided in the hall for those who prefer to do their own or laundry service available a la cart. 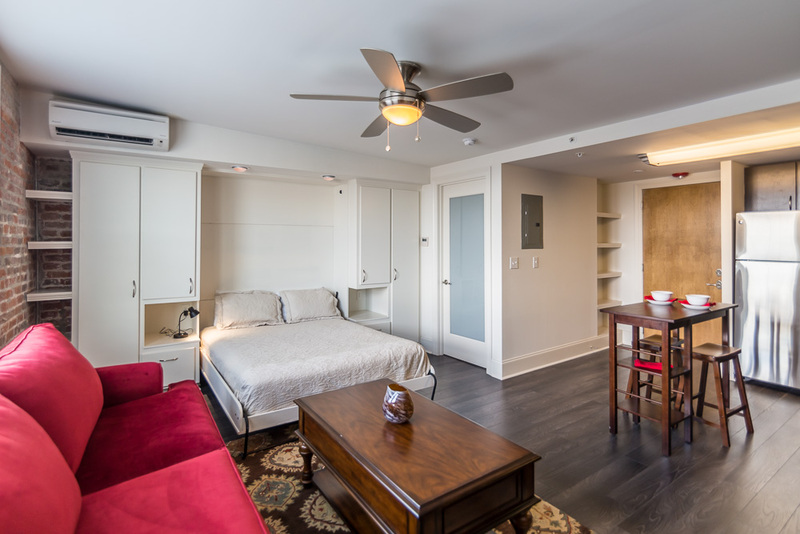 Living room and bedroom share a space. 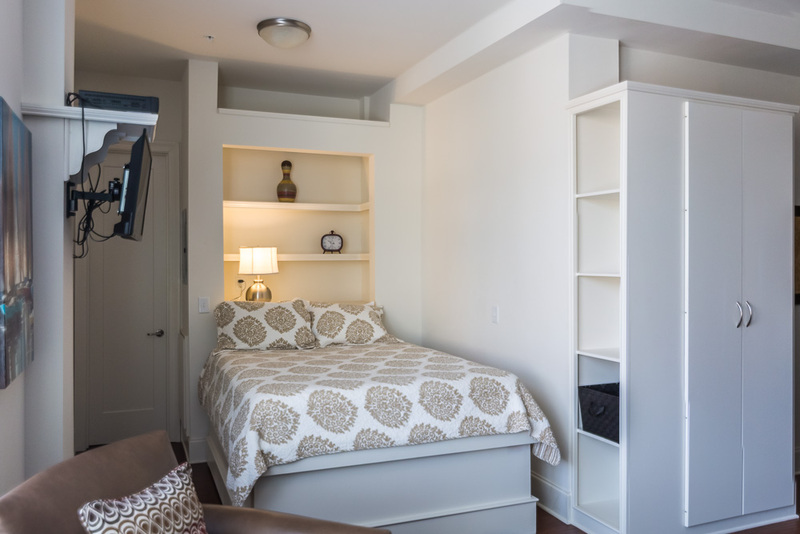 Murphy beds are featured in most of the Studio which provide an opportunity to close up the bedroom and have a living room for hosting guests. 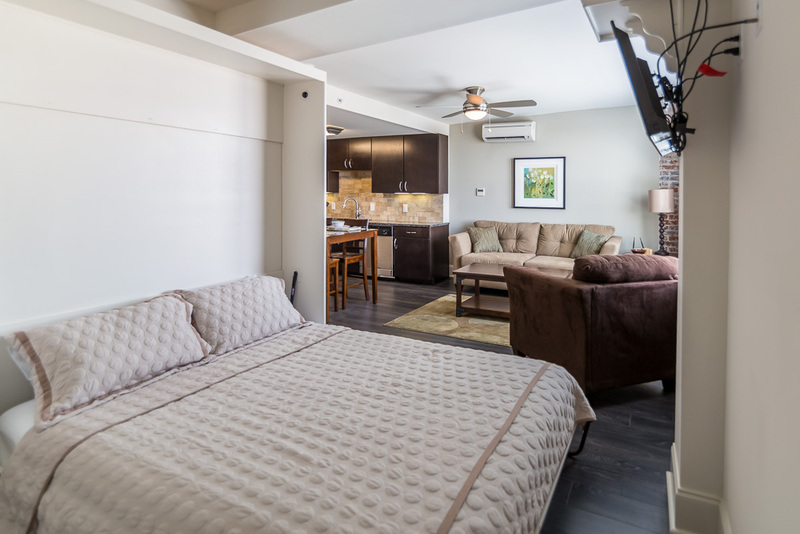 Expertly furnished for your convenience and luxury.